A few changes of plan first: due to a rapidly decreasing amount of time to take care of affairs before ACen and E3, I'm suspending my translation project for a month. After ACen, I'll start it up again. As for looking forward to things, check out this lovely art auction from Vaz, of UnderPower. 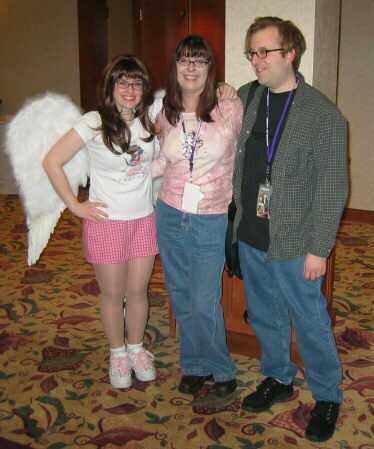 It's going to fund his trip to Fanime this summer, where the Four Horsemen (Bitter, Random, Cute, and Girl) will be reunited to terrorize interviewers and fans all over Santa Clara.